God prefers love to Him & love to your neighbor above religious lip service. Worship with no heart disgusts Him. Where does God want the focus? On Him or your service? He desires you to actually WANT to worship, not HAVE to. If you want to worship God, then you will definitely find joy in the Sabbath! God is not a means to an end – Serving God is satisfying in itself. 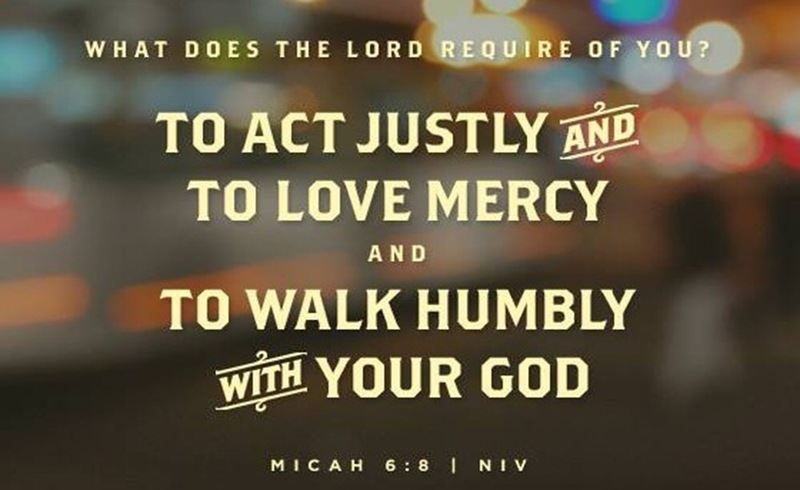 Micah 6:8 is the RECIPROCAL RESPONSE TO GOD’S GRACE. It is a lifestyle of justice, mercy, and humility. It is the by-product of loving Jesus. Let us all strive to embody His lofty requirements! This entry was posted in Christian and tagged act justly, Bible, Blogging, Christ, Christ Follower, Christian, Christianity, church, Disciple, Discipleship, Evangelism, Faith, God, God Loves You, God's love, Good news, Gospel, Health, Hebrew, Hermeneutics, Holy Spirit, HolySpirit, homilitics, Hope, Jehovah, Jesus, Jesus Christ, Jesus saves, life, Love, love mercy, Mercy, Micah, Micah 6:8, Ministry, Old Testament, Pastor, practical, practical application, practical living, prayer, Preach, Psalms, Religion, Religion and Spirituality, Salvation, Scripture, Sermon, Spiritual Growth, spiritualwarfare, theology, walk humbly, Worship. Bookmark the permalink.